A Victorian vehicle manufacturing start-up with ambitions to be Australia’s first production electric vehicle, and a company developing a disruptive new class of insecticides have been given a kick-start thanks to a new funding initiative that helps small businesses access CSIRO research expertise and capabilities. CSIRO Kick-Start is a new initiative that offers dollar-matched funding of up to $50,000 to enable research projects for start-ups and small businesses that are on their way to becoming Australian success stories. 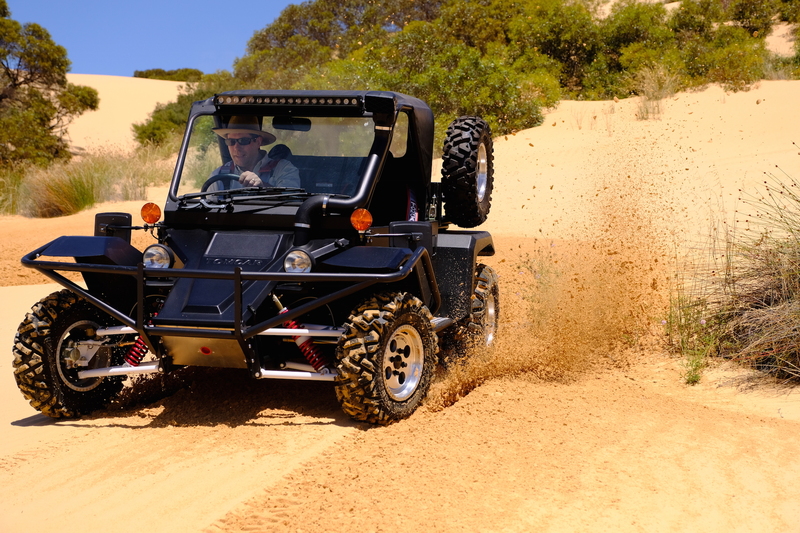 Tomcar Australia are just one of the first six businesses to receive the funding and are using it to feasibility research into electrification of their modified off-grid, off-road vehicles with CSIRO’s Manufacturing team. The work will provide an integrated systems solution tailored to Tomcar’s vehicles, and builds on CSIRO’s electric motors expertise. Following the feasibility testing, Tomcar plan to continue their collaboration with CSIRO in the development of prototypes and full production of Australia’s first electric vehicle, forecasted for a 2018 launch. “We pride ourselves on being a disruptive vehicle manufacturer, and being able to partner with Australia’s research institutes to access engineering capabilities and expertise that we wouldn’t normally have access to is what’s helping us achieve that,” Co-founder and CEO of Tomcar Australia David Brim said. Bio-Gene, an Australian small business developing a new class of synthetic insecticides, has received $50,000 of dollar-matched funding through CSIRO Kick-Start to access CSIRO’s proprietary chemistry expertise and equipment. The co-investment will support Bio-Gene’s development of the chemically synthesised FLAVOCIDE - a nature identical product that aims to address the major worldwide problem of insecticide resistance in the areas of crop protection, animal health and public health. “The experience, expertise and commercial knowledge of CSIRO in new chemistry manufacturing processes is world-class,” CEO of Bio-Gene Robert Klupacs said. Keith McLean, Director, Manufacturing at CSIRO said Australian start-ups and SME’s were critical in driving Australia’s innovation output. “CSIRO is committed to supporting them by providing access to our research expertise, capabilities and facilities,” Dr McLean said. The new CSIRO Kick-Start initiative boosts the national science organisation’s existing support for SMEs and small businesses, now offering funding and linkage solutions to all Australian businesses with a turnover up to $100million to undertake research projects that will help their businesses develop and grow. For more information on CSIRO Kick-Start and CSIRO’s suite of SME solutions visit SME Connect. To learn more visit Tomcar Australia . To learn more visit Bio-Gene .